Distinctive features: Tree; Square twigs. Opposite branching but not as thick or obvious as other Ashes. 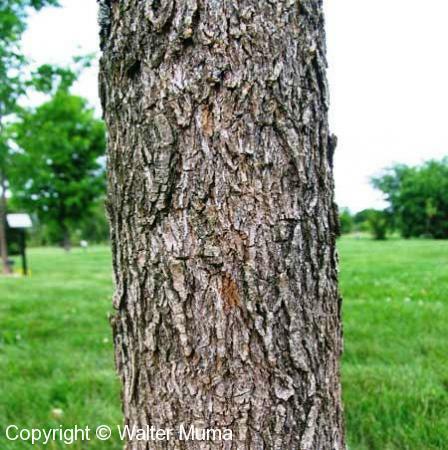  White Ash (Fraxinus americana) - does not have square twigs. 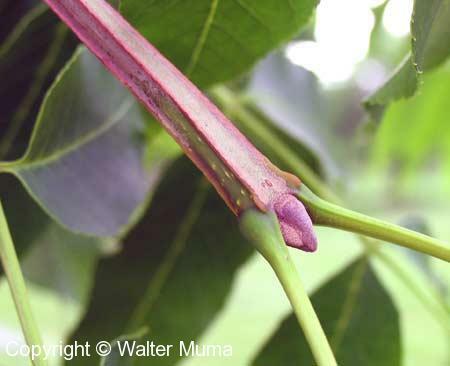  Black Ash (Fraxinus nigra) - does not have square twigs. 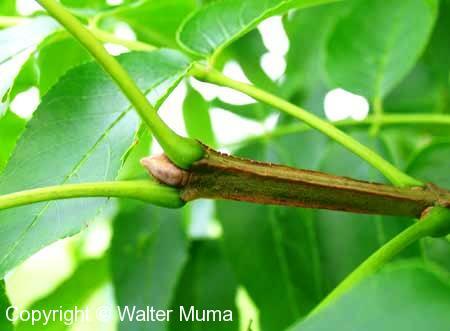  Red Ash (Fraxinus pennsylvanica) - does not have square twigs. Leaves: Opposite/Whorled, Compound, Entire; Opposite, compound. Notes: This tree only grows in a few locations in extreme SW Ontario, or other locations where it has been deliberately planted. Its distinctive feature is its 4-sided twigs. Photographs: 69 photographs available, of which 5 are featured on this page. SCROLL DOWN FOR PHOTOGRAPHS. 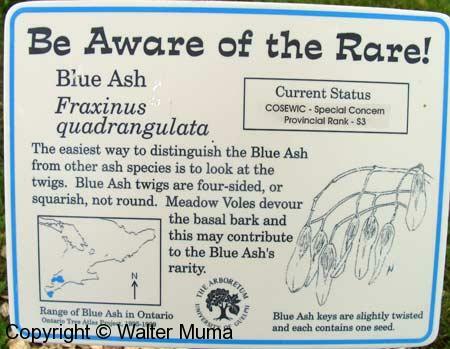 Sign at the University of Guelph Arboretum, Guelph, Ontario. This tree is very rare in Ontario. This tree's distinctive feature is the square (4-sided) twigs. Another view of a 4-sided twig.